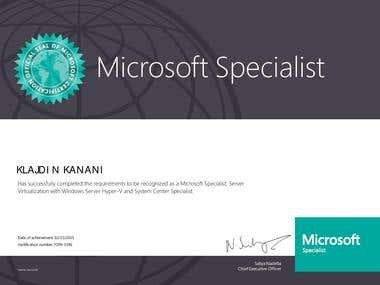 6 Years + on Microsoft Server Infrastructure : -Certified from Microsoft as Microsoft Certified Solution Expert : Cloud Platform and Infrastructure -Certified from Microsoft as Microsoft Certified Solution Associated for WinSrv 2012. 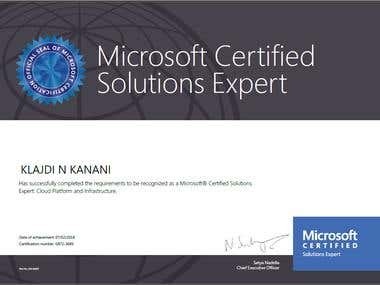 -Certified from Microsoft as Microsoft Specialist for Virtualization with Hyper-V 2012. 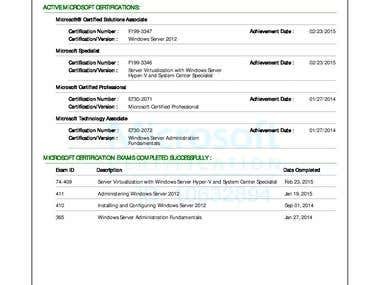 -Certified from Microsoft as Microsoft Certified Professional WinSrv 2012 & WinSrv 2016 -Expert on Active Directory , DNS , File Server. -Exchange Server 2013,2016 Specialist. -Expert in Virtualization with Hyper-V. -Certified from Dell as Dell Server Specialist for Dell PowerEdge Server. 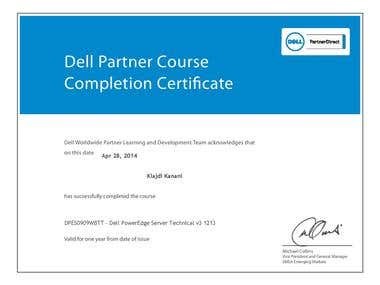 -Certified from Dell as Dell Storage Specialist for Dell PowerVault Storage. Configuring Windows Server [login to view URL] Operating Systems , configuring roles , Active Directory , DNS , DHCP , File Server , [login to view URL] Replication , Cluster , infrastructure with High Availability & Load [login to view URL] LUNs , quotas , storage. Upgrade old servers , configuring physical to virtual servers , migrating roles.